Don’t think you need to know how to write a thesis statement? Or maybe you wonder if you really need to write one for your project. It’s tempting to think of a “thesis statement” as squarely plunked into the domain of those in academia. Wrongo. I write a thesis statement for nearly every piece of content that I peck out on my keyboard. No, I’m not going all nerdy. Writing a thesis statement for a piece of content is an incredibly helpful tool. Get one in front of you as your write nearly any kind of content and you can save time, stay on track, and write clearer. 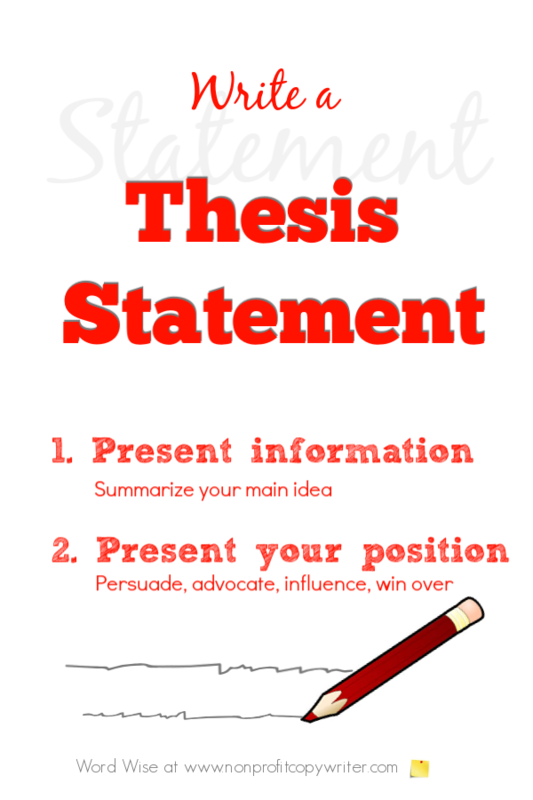 A thesis statement is a sentence that summarizes your main idea and presents your position. It’s THE core tool I use in persuasive writing, as do many others. That includes not just research papers and college essays but also articles, letters, web pages, landing pages, social media posts, case statements, books, grant applications … literally any piece of persuasive content. A thesis statement persuades, convinces, sways, leads, influences, motivates, advocates a viewpoint, or otherwise wins over the reader. That second point is a thesis statement’s key distinguishing feature. You don’t need to include your actual thesis statement in your piece of content, (although you can.) You can simply write a thesis statement, set it aside, and use it as a guide as write. This blog post explains the differences between a thesis statement and a purpose statement [Function #1: it presents information] – and shows you why you need to use a thesis statement when you write almost any piece of content [Function #2: it persuades you of its importance]. A purpose statement summarizes your content’s main idea. It’s different from a thesis statement in that it does not present a specific argument or choose sides. It avoids revealing your position. You leave to the reader to draw her own conclusions. Use a purpose statement when you have a single goal for your content: to define, describe, examine, explain, illustrate, inform, notify, report, reveal, state, tell, update, or otherwise present information to the reader. You can even write a purpose statement when explaining two contrasting points of view. Just stick to the facts and show how they are different from each other. Use the five of the 6 W’s to help you write a purpose statement – who, what, where, when, why, and wherefore (how). This blog post explains the differences between a thesis statement and a purpose statement and gives examples of each one [Function: it presents information]. Which One Should I Use for Which Piece? Nine times out of ten when you’re writing an academic paper, your instructor asks you to present an argument or take a position, making it clear that you need to work from a thesis statement. And to be truthful, the same goes for the content writer. More times than not, you write to present information with the goal of influencing or motivating your reader to embrace a particular point of view. If I want to present information and then persuade my reader to come along for the ride with me, I write a thesis statement. It helps me see what kind of information to present and what kind of argument I need to make as I report that information. If I simply want to present the facts – as in a straight-up news story – then I write out a quick purpose statement. Determine whether your content’s goal is to present information + your position (thesis statement) or present information only (purpose statement). Write out your statement. Keep that statement front and center as you write. You’ll save time and aggravation in the long run. And your point will be clearer. 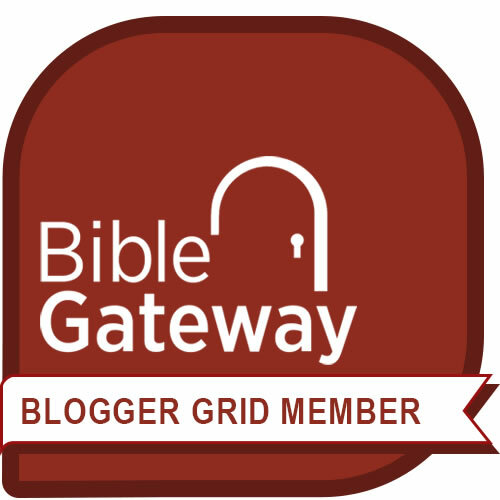 Bonus: What is a Topic Statement?